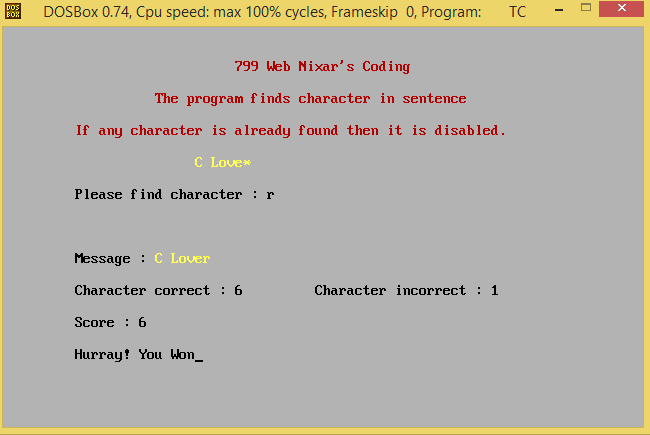 Posts tagged "C – Guess the word"
Here you will get complete source code guessing a character in a secret sentence or word in C Programming language. 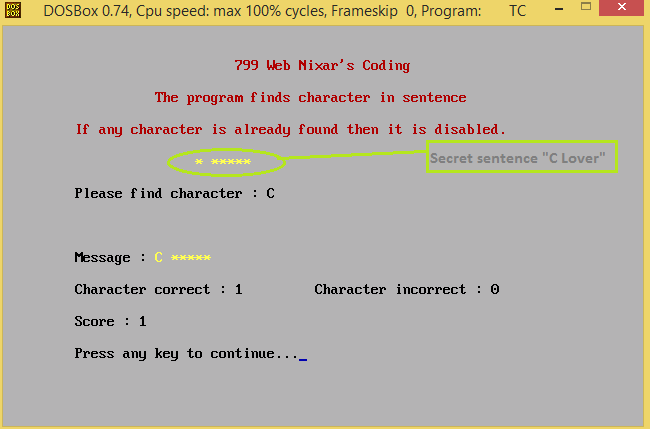 you can set your secret message or sentence in the code and then you can tell your friend to start guessing that secret message after executing the code. One of my Facebook Page’s fan Faster Msr posted this on my page, so I coded to implement this using C Programming language. Guess the word (“C Lover” at back-end). Guess the word (Guessed it!). Date - 28 June 2015.